Since taking the reins at Gucci in early 2015, creative director Alessandro Michele has performed extraordinary feats of reinvention and romanticism at the storied Italian house. Michele has ushered in a new era of idiosyncratic androgyny and ornate, otherworldly glamour across both lines – lines that recently merged with news that Michele will combine his menswear and women’s shows – while bringing Gucci into a new phase artistically in stores, on the red carpet, in the art world and across social media. 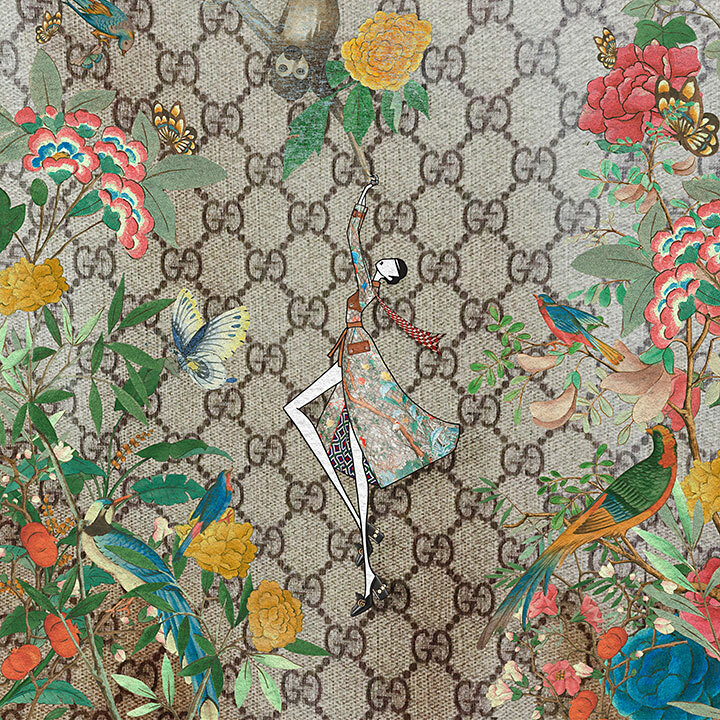 It’s on the latter that the label’s #GucciGram comes to life, a project wherein online illustrators from the world over are invited to reimagine Gucci’s signature motifs in the context of their own artistic practice to spectacular effect. Curated by Michele, the second instalment, #GucciGram Tian, enlisted nine Asian artists to remix the brand’s Tian – or ‘sky’ and ‘heaven’ – print, which was derived from 10th century Chinese painting. One such artist selected to be involved in the project is Australian and Korean artist Jaesuk Kim, who spoke to GRAZIA about his involvement in the project, his career as a fashion illustrator and how Instagram has changed the game for the folks in his field. Who are your three favourite artists and illustrators to follow on Instagram? “That’s such a hard question. There’s no single artist or illustrator, but I do enjoy the work posted from @DrawADot. They always find new and upcoming talent and it is always a great source of inspiration. I also enjoy @birdyandme (Kelly Smith). I love her delicate approach details. Also @mahyarkalantari and @shamekhbluwi – I think they are also masters of digital illustration. I love their ideas and concepts.